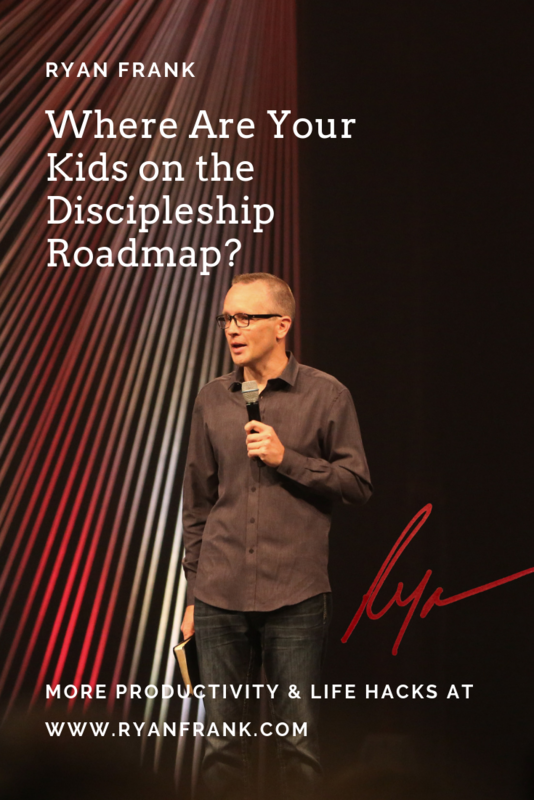 Discipleship roadmap. When I talk about curriculum, I'm talking more about what curriculum are you using? Now that's important that you're using the right curriculum, and I hope that you're using a curriculum that you feel really good about, that is really taking the kids on a journey to get from whatever point A is to point B. As painful and as gruesome as it is, every couple of years, you need to evaluate that curriculum and make sure we are accomplishing what we are wanting to accomplish with curriculum, and if not, maybe consider something else. As I talk about curriculum, I'm really talking more the roadmap part of it. Like, "How well am I doing, gaging where the kids in my ministry are spiritually?" Now I love the fun and games of children's ministry. I love the prizes. I love the high energy. I love the worship. I mean, there is nothing like getting 20, 30, 40 kids in the room, and just hearing them belt out worship to God. It's just amazing. All this stuff we do, it's all great, but do I really know where my kids are spiritually? Now in school, they know where they're at academically, and they know where they are, where they need to be, where there's a deficit, and the parents and the teachers will talk about that deficit, and what do we need to do to get your child from here to here? Yet, week after week, kids show up to our church, and maybe we know that they've trusted Christ as their savior, and we remember when they were baptized. But where are they spiritually? Where are the benchmarks where they need to be? I really have a lot of respect for a children's pastor friend of ours here in our town, Stephanie Freemeyer. I'm really impressed with how she has specific goals that she and her team have developed for when the kindergarten year is over. We want our kindergartners to have a good handle on A, B, and C. When our first graders are done, we want to make sure they understand A, B, and C. When our second graders finish second grade, we want to make sure that they understand A, B, and C.
Because she has specific goals for each age group, she has different curriculum for each age group. They'll use Sparkhouse for this, they'll use LifeWay's Bible Project or gospel project for this. She'll use this curriculum for this grade because she has found curriculum that helps her get the kids from A to B at the end of that year. How much time are we spending at really understanding where our kids are, knowing where we want them to be at this point, at this age in their life, at this grade?